CSI: Miami (Crime Scene Investigation: Miami) is an American police procedural drama television series that premiered on September 23, 2002, on CBS. Starring David Caruso as Lieutenant Horatio Caine, Emily Procter as Detective Calleigh Duquesne, and Kim Delaney as Lieutenant Megan Donner, the series is the first direct spin-off of CSI: Crime Scene Investigation, "transplanting the same template and trickery—gory crimes, procedural plot and dazzling graphics—into [a new city] while retaining the essence of the original idea". CSI: Miami is executive produced by Carol Mendelsohn, Anthony E. Zuiker, and Ann Donahue, with the latter acting as show-runner. The series ended on April 8, 2012, after 10 seasons and 232 episodes. Following the series finale, Nina Tassler credited CSI: Miami as a "key player in CBS's rise to the top", stating that the series "leaves an amazing television legacy—a signature look and style [and] global popularity". In 2006, BBC News published an article stating that CSI: Miami was the world's most popular television series, featuring in more countries' top ten rankings for 2005 than any other series. CSI: Miami follows a group of detectives assigned to the Miami-Dade Police Department's Crime Scene Investigations, an elite unit operating out of the (fictional) "Miami Dade police headquarters, with its eerie blue light and flickering screens". The team is led by Lieutenant Horatio Caine (David Caruso), who, through his history as a bomb-disposal expert, has gained specialized knowledge in explosive forensics. Horatio believes that "evil is" and lives "between the perpetrators of this evil and the people who try and come between that evil and the citizen". In his pursuit of justice, he has proven that "he can handle himself on the street and he's not a person to be messed with"
The New York Sun has described Caine as an amalgam of "the spirits of all the laconic American law men who preceded him", while The New York Post describes Caine's partner Detective Calleigh Duquesne (Emily Procter) as "a bilingual Southern beauty with a specialty in ballistics". Together, Horatio and Calleigh head a team of forensic investigators that includes Lieutenant Megan Donner (Kim Delaney), conceived as "a strong woman [who could] duplicate the chemistry that Caruso displayed with Marg Helgenberger" during Cross Jurisdictions, Detective Eric Delko (Adam Rodriguez), an underwater recovery expert, Walter Simmons (Omar Miller), a Detective who forces the "CSIs to do more science and research instead of relying on databases", Los Angeles Police-transfer Jesse Cardoza (Eddie Cibrian), former FBI agent Natalia Boa Vista (Eva LaRue), and Ryan Wolfe (Jonathan Togo), a master of genetics recruited following the death of Detective Timothy Speedle (Rory Cochrane). The team are assisted by Medical Examiner Alexx Woods (Khandi Alexander), who began her career as Medical Examiner in New York, and her replacement Tara Price (Megalyn Echikunwoke), Miami Dade Police Sergeant Frank Tripp (Rex Linn), and Horatio's sister-in-law, Detective Yelina Salas (Sofia Milos). During their investigations, the team cooperate with both allies and nemeses, including Internal Affairs Lieutenant Rick Stetler (David Lee Smith), States Attorney Rebecca Nevins (Christina Chang), Medical Examiner Tom Loman (Christian Clemenson), and newly minted detective Sam Owens (Taylor Cole). On April 17, 2002, CBS Television Studios announced plans to launch a series originally titled CSI: Miami-Dade, a spin-off to the hit procedural CSI. On the location choice, co-creator Carol Mendelsohn stated that "[she, Anthony E. Zuiker, and Ann Donahue] felt Miami was the most happening place [...] Miami is so rich as a character. There is so much water. There are so many different cultures here all colliding. Its politics are so interesting. All that gives Miami an edge." CBS ordered 22 episodes of the series, with Anthony Zuiker stating that whilst he intended for the series to look "ridiculously gorgeous", he felt that the "show [was] not about women walking around in bikinis. It's about science." The series was launched as a second-season episode of CSI: Crime Scene Investigation, and originally featured a cast led by David Caruso, Emily Procter, Adam Rodriguez, Khandi Alexander, with Rory Cochrane. 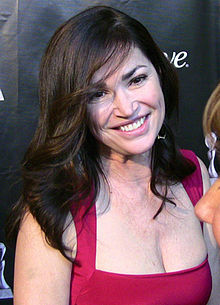 Kim Delaney joined the series following the pilot episode's broadcast. The series is executive produced by creators Carol Mendelsohn, Anthony E. Zuiker, and Ann Donahue, with Ann Donahue acting as show-runner. Jerry Bruckheimer also executive-produces the series. CSI: Crime Scene Investigation stars William Petersen and Marg Helgenberger expressed their displeasure at CBS' launch of Miami, with Petersen stating that "[they] should have waited five years for a CSI spinoff." Helgenberger supported Petersen's comments during an Emmy acceptance speech, noting that "as far as [she was] concerned, there’s only one CSI." Petersen jestingly referred to the series NYPDCSI, as it initially featured both David Caruso and Kim Delaney, of NYPD Blue fame. David Caruso appears as Lieutenant Horatio Caine. In 2002, CSI executive producer Anthony Zuiker began casting for the then-unnamed Miami based spin-off. First cast was Emily Procter, as Calleigh Duquesne. Regarding her decision to leave The West Wing and join Miami, Procter stated that "It was like choosing between a boyfriend that wants to be with you casually or a man that says I love you." She described her character as "a weird girl [...] bright and very nerdy. She wears a lot of boot-cut corduroy pants and turquoise necklaces and looks like a hippie. I just like to pretend I'm Velma in Scooby-Doo." Adam Rodriguez, Rory Cochrane, and Khandi Alexander were cast alongside Procter, completing the supporting ensemble. For the lead, CBS suggested David Caruso. Zuiker, who stated that he had "heard about the NYPD Blue thing", was initially hesitant. Elaborating, Zuiker stated that he "sort of jumped in and said, 'Naw, I don't know about this guy. The show's tough enough to get off the ground and I don't want to walk into any problems." CBS president Les Moonves had announced in January that a Miami spin-off was imminent, yet "It wasn't until we sort of, like, at the eleventh hour, really started to look at our options as to who was going to play Horatio, [Zuiker, Mendelsohn, and Donahue] revisited Caruso. And [they] said, 'Yeah, we'll have him come out for dinner, see what he's about.'" Caruso was later cast as Caine. He was the last pilot cast member to be contracted to series. Following the back-door pilot, Zuiker stated that he believed the series "needed a little more balance in terms of a leading woman". Executives offered Sela Ward the part of Megan Donner, a lieutenant and Horatio's former boss. Ward turned down the role, and producers later cast Kim Delaney. Ann Donahue described Delaney's casting as "a no-brainer", stating that "when Kim became available, we knew in a heartbeat that we wanted her." Zuiker elaborated, noting that "Kim brings a level of maturity, a level of balance with David Caruso [...] We just felt we were missing something in the whole picture – we needed a strong female in the cast." The New York Times reported that original lead Emily Procter would "now follow Ms. Delaney in the credits." In late 2002, despite receiving excellent feedback from producers, Delaney departed the cast after ten episodes. CBS issued a statement noting that Delaney's character had become less integral to the series as it progressed, "they had hoped to duplicate the sparks between William Petersen and Marg Helgenberger on the original CSI," noted EW, but Delaney and Caruso's chemistry was lackluster. Delaney's departure allowed for "younger Emily Procter's profile" to be raised to that of "leading female". Sofia Milos was cast in a recurring role to "fill the void" supposed to have been created by Delaney's departure. In season three, Milos was promoted to series regular. TV Guide reported that Milos would depart after one season as a main cast member. Also in the third season, Jonathan Togo was cast as Ryan Wolfe, a character created to replace an unnamed "member of the CSI team" expected to "die in the line of duty". This cast member was later announced as Rory Cochrane. On April 10, 2006, Ann Donahue announced that recurring cast members Rex Linn and Eva LaRue were also joining the main cast, after recurring since season one, and season four, respectively. The fourth main cast member to depart the series was Khandi Alexander, in the series' sixth season. Alexander was replaced by Megalyn Echikunwoke, who departed after a single season. Adam Rodriguez departed in season eight, though he returned in season nine. During Rodriguez's temporary departure, Eddie Cibrian appeared as a series regular, though in June 2010 he was let go from his contract. Omar Miller also joined the cast in season eight. CSI: Miami was filmed primarily in California. Indoor scenes were shot at Raleigh Manhattan Studios in Manhattan Beach, California. Most outdoor scenes were filmed in Long Beach, as well as portions of Manhattan Beach and Redondo Beach. Beach areas of Marina Green Park and Rainbow Lagoon Park in downtown Long Beach were often used for other outdoor scenes, as the newly constructed high-rise condos there gave the appearance of being in Miami. The sculptured walkway paying tribute to the old Pike Roller Coaster can be seen in the background in the episodes "Wrecking Crew" and "Under The Influence". Footage from the Biscayne Courthouse, visible prominently in the episode "Recoil", among others, was filmed at the Water Garden Park in Santa Monica, at 34.028728, −118.471331. Other locations around Long Beach are used, such as the Naples district, whose canals and upscale homes featuring large boat docks and palm trees impart a Miami-like atmosphere. 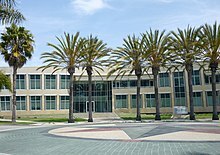 The building used for exterior shots of the Miami-Dade Police Department crime lab is actually the SkyOne Federal Credit Union headquarters located at 14600 Aviation Boulevard in Hawthorne, California. Many outdoor location shots were also filmed in Miami-Dade County, Florida, including Coconut Grove, Coral Gables, and Miami Beach. CSI: Miami's main theme is "Won't Get Fooled Again", written and performed by The Who, who also perform the theme songs of CSI: Crime Scene Investigation, CSI: NY, and CSI: Cyber. Prior to the opening credits, Horatio Caine (David Caruso) delivers a "one-liner", or witticism, relating to the crime committed. On February 1, 2012, CBS announced that the 10th season of CSI: Miami would have its episode order reduced to 19 episodes, in order to make room on the schedule for mid-season replacement NYC 22. On May 13, 2012, CSI: Miami was canceled. Series star Emily Procter later stated that "the cancellation was kind of shocking for everyone because they had given an indication that CSI: NY might go, so people would have been prepared and we just weren't prepared." Procter had previously commented on the longevity of the series, commenting that "I remember sitting around with David in the parking lot during season one, getting ready for the first episode to air. We said [...] 'we are going to spend the rest of our lives together. For better or worse.'" Eva LaRue later echoed Procter's sentiments, stating that she "was sad because we did not get a chance to say goodbye to the fans or to each other". CBS Entertainment President Nina Tassler issued a statement noting that "when the slightly different budgets and ratings concerns for the CSI spin-offs were factored in, there was no distinction — at least in terms of numbers. They were very close, looking at them forensically, they were very close. It was an indiscernible difference . . . it was just a matter of looking at the schedule and what looked better". "In the end, NY won that particular duel simply because it features New York City, which helped CBS create a Friday night NYC-fest". David Caruso as Horatio "H" Caine; the "iconic" director of the Miami Dade Crime Lab and a police lieutenant. Rising through the ranks as a bomb squad technician, Caine is an expert in explosive forensics and is incredibly protective of his team. He often goes to extraordinary lengths to save evidence or a potential victim. Throughout the course of the series, he becomes more jaded and less ethical, developing a far more serious, direct, and to-the-point attitude, though he maintains his ability to communicate well with children who have suffered traumatic ordeals. Emily Procter as Calleigh Duquesne; a CSI Level 3 and Horatio's Assistant Supervisor. Calleigh is a veteran MDPD Detective and the longest serving member of the crime lab. She is a ballistics specialist. Her slight build, blonde hair, and southern belle accent often lead others to underestimate her, but she is a brilliant and a dedicated scientist. She develops a romantic relationship with fellow CSI Eric Delko, and, in the show's final season, adopts two children. Adam Rodriguez as Eric Delko; a fingerprint and drug expert of Cuban and Russian descent. Detective Delko first encountered the CSI team whilst working as a tow-truck driver. Horatio persuaded him to join the MDPD, and the two became good friends. Eric has three sisters. One of them, Marisol, married Horatio and was killed at the end of season 4. Because of this he builds strong bonds where he works, developing a strong friendship with Tim Speedle, and a romantic interest in Calleigh. (seasons 1–8, 9–10; recurring: season 8). Khandi Alexander as Alexx Woods; a Medical Examiner for Miami Dade County. Alexx began her medical career in New York as a physician and became a medical examiner with the CSI team after moving to Miami for personal reasons. She is a very emotional person, and is more of a "mother" figure for the CSI team, showing great concern for them. She also often talks to the dead bodies. Alexx eventually leaves CSI in order to spend more time with the living. (seasons 1–6; guest star: seasons 7–8). Rory Cochrane as Tim Speedle, known affectionately as "Speed"; a trace evidence and impressions expert from Syracuse, New York. He worked for the St. Petersburg PD in 1997, and had a degree in biology from Columbia University. Speed joined the team at the recommendation of Jesse Cardoza, and became an invaluable asset. Speed often failed to comply to departmental standards, however, and was killed as a result of his unclean weapon misfiring. (seasons 1–3; guest star: season 6). Kim Delaney as Megan Donner; Horatio's first partner and a respected MDPD Police Lieutenant. She was the director of the MDPD Crime Lab prior to taking indefinite leave due to the death of her husband, who was killed in the line of duty. She believes in following the evidence, and as such is often seen as adversarial to Horatio's go-with-the-gut detective style. As a result of this, Megan resigns, finding the pressure of the job to now be more than she could handle. (season 1). Sofia Milos as Yelina Salas; a Colombian homicide detective frequently attached to CSI investigations, and the widow of Horatio's brother Raymond Caine. She later starts a relationship with IAB Sergeant Rick Stetler. Yelina leaves the team and moves to Rio with her family, although she later returns to Miami as a private investigator. (season 3; recurring: seasons 1–2; guest star: seasons 5–7). Jonathan Togo as Ryan Wolfe; a Detective attached to Horatio's team. Ryan was working as a police officer at the time he was hired for the lab by Caine, who noted Ryan's immaculate care of his gun, likely due to Wolfe having OCD. Ryan was replacing fallen CSI Tim Speedle, who died in the line of duty as a direct result of his poor gun maintenance. The team, and Eric in particular, are hostile to Ryan at first, though they later warm to him. (seasons 3–10; recurring: season 3). Rex Linn as Frank Tripp; a Texas-born homicide detective who accompanies the team to the crime scenes. He is known for interrogating suspects in his typical sarcastic manner and has a good working relationship with all the CSIs. He is divorced with three kids, and has known Horatio since at least 1997. Over the course of the series, he is promoted to sergeant, taking on a more prominent role within the MDPD, and spending a short time in uniform. (seasons 5–10; recurring: seasons 1–4). Eva LaRue as Natalia Boa Vista; an MDPD Detective and DNA specialist hired by Caine. Upon her arrival, she was only allowed to work on cold or unsolved cases due to the restrictions of her federal grant, although it is later revealed she is in fact an FBI Special Agent working undercover. She later applies to join the team permanently, much to the initial chagrin of Delko and Wolfe. She was a victim of domestic abuse during her marriage. (seasons 5–10; recurring: season 4). Megalyn Echikunwoke as Tara Price; the day-shift medical examiner who replaced Alexx following her departure. She is initially well received by the team, until she is shown to steal a bottle of Oxycodone (an opioid analgesic medication) from a victim in the morgue. Ryan Wolfe confronts Tara about the stolen pills in her locker, and she is later arrested and dismissed from the team. Tara is replaced shortly thereafter by Dr. Tom Loman. (season 7; recurring: season 7). Eddie Cibrian as Jesse Cardoza; an MDPD Detective who worked with Horatio and Megan prior to the formation of the CSI team. He returns to Miami following a stint as a LAPD officer in order to track the man who murdered his wife. Cardoza builds strong friendships within the team but is killed in the line of duty during a halon attack on the lab. Walter is particularly hurt by his loss. (season 8; guest star: season 9). Omar Benson Miller as Walter Simmons; "a Louisiana native and art theft specialist who transfers over from the night-shift to join Horatio's team". Simmons' large build is often intimidating to suspects. However, he is shown to be one of the most caring and compassionate members of the team. He is extremely close to both Ryan and Jesse, and develops a friendship with LVPD CSI Raymond Langston. (seasons 8–10; recurring: season 8). Holt McCallany as John Hagen; a Homicide Detective who had emotional and psychological problems. He was the partner of Caine's presumed-dead brother. Hagen kills himself in front of Calleigh. (seasons 1–3g). Boti Bliss as Maxine Valera; a DNA technician who works on Caine's team. She is incredibly capable but has an unfortunate habit of taking shortcuts whilst processing evidence. (seasons 2–8). Johnny Whitworth as Jake Berkeley; originally an MDPD Narcotics Detective, Jake transfers to Homicide following a stint in undercover. He and Calleigh were in a relationship in the academy, and later rekindle this. (seasons 5–8). Christian Clemenson as Tom Loman; Miami's newest Medical Examiner and the third replacement for Dr. Alexx Woods. Loman is socially awkward but invaluable to the team, developing strong bonds throughout his tenure. (seasons 8–10). Taylor Cole as Samantha Owens; an MDPD Detective who is assigned to Horatio's CSI team. Formerly a lab technician, Owens develops a flirtatious relationship with Wolfe (season 10). On Monday November 7, 2005, and Wednesday November 9, 2005, CBS aired the first crossover within the CSI franchise, with a CSI: Miami episode titled "Felony Flight", and a CSI: NY episode titled "Manhattan Manhunt". The episodes see an escaped prisoner embark on a killing "spree that, quite naturally, brings together Lt. Horatio Caine and his team and Detective Mac Taylor (of CSI: NY) and his team, a spree that eventually mounts to 13 bodies in the two episodes." Anthony Zuiker described the event as "virtually a movie", while CSI: Miami's show-runner Ann Donahue stated that, despite a crossover being planned earlier, she had "held off on this because [she] wanted to wait until 'New York' had distinguished itself" from its predecessors. Zuiker noted that as well as being a "tremendous treat for viewers", the crossover would provide "a chance to sample other CSI shows and casts and mysteries on other nights", particularly due to the "complete visual makeover" undertaken during CSI: NY's second season, "in terms of the lighting style, the colors, and the new labs." He also described the crossover as " the event that the franchise needed at this point, not only for CSI: NY, but [for] the viewers. And it's, I feel, some of our best work if not the best." In 2005, prior to the airing of "Felony Flight", Ann Donahue stated that "you never know" when a three-way crossover will be produced, with Zuiker stating that "the beauty of this franchise is it's very interchangeable in terms of how crossover combinations will work". In 2009, CBS commissioned a three-part crossover starring CSI: Crime Scene Investigation star Laurence Fishburne, an event that EW dubbed the "Great CSI Crossover Experiment That William Petersen Never Would Have Agreed To". The Miami segment of the crossover, titled "Bone Voyage", aired on November 9, 2009. The series was originally broadcast on CBS in the United States, airing (from September 2002 to May 2010) Mondays at 10/9C, and (from October 2010 to April 2012) Sundays at 10/9C. CBS frequently repeats CSI: Miami on weekends during the Crimetime Saturday slot, while CBS also owns syndication rights to the series, with CBS Entertainment President Nina Tassler stating that she intends to air CSI: Miami "in syndication for years to come". Similarly, CSI: Miami has been syndicated on A&E since 2005. While on December 2, 2011, AMC acquired syndication rights of the series, and began airing the episodes on January 2, 2012. The show airs regularly at 5/4C on weekdays. In August 2012 WE tv started airing reruns of the show. Both A&E and Spike share the return rights to the crossover episodes (with CSI: NY), Felony Flight and Manhattan Manhunt. In Australia Nine Network airs new episodes of CSI: Miami, and repeats are shown on satellite channel TVH!TS (formerly TV1). Reviews for CSI: Miami are generally positive, with the website Metacritic rating the series 63 out of 100 based on 30 reviews, which constitutes a "generally favorable" response. In 2002, Ann Hodges of The Houston Chronicle stated that "the clone could turn out to be better than the original", while Aaron Barnhart of The Kansas City Star commented that CSI: Miami "just feels like the show CSI should have been all along". Tim Goodman noted that "There probably isn't a bigger slam-dunk victor on the fall schedule than CSI: Miami," describing it as "on its own, a very fine show". Following the series finale, Nina Tassler credited CSI: Miami with being a "key player in CBS's rise to the top", stating that the series "leaves an amazing television legacy—a signature look and style [and] global popularity". CBS News described CSI: Miami as "one of TV's biggest hits". "Mr. Caruso's mannerisms become less annoying than soothing as they melt into all those hypnotic patterns of shadow and light, and your critical faculties melt along with them. It's like a real estate show with characters and a plot, and it can hook you. The pristine settings, the stunning aerial views of harbors and yachts, the gorgeous homes and burnished floors, and then . . . a flash of anger, a gush of blood. At which point, enter Miami-Dade Head Investigator, Lieutenant Horatio Caine, world's most popular cop. And not by chance, an American". Tim Goodman stated that "Caruso reminds everyone why he's good on the small screen, as the confident, dispassionate and slightly cynical Horatio." Nina Tassler later credited David Caruso for leading a talented cast for "ten outstanding seasons". Similarly, Tim Goodman described Kim Delaney's portrayal of Megan Donner as "edgy enough to keep up with [Caruso]" and The Chicago Tribune credits Kim Delaney with leading a "strong cast" and a "slickly produced series". SF Gate commented that Kim Delaney should be credited for "saving [a fledgling] new series". "The objective of our research was to find the most consistently successful programme worldwide in terms of attracting viewers. We were not therefore concerned with shows that performed extremely well in a relatively small number of markets. CSI: Miami was therefore named the most popular programme because it featured in more countries' top ten rankings for 2005 than any other". 2003: Outstanding Achievement in Cinematography (Pilot) – "Cross Jurisdictions"
2003: Outstanding Cinematography – "A Simple Man"
2007: Outstanding Stunt Co-Ordination – "Rush"
2005: Best Sound Editing in Long Form – Effects & Foley – "Crime Wave"
2007: Best Sound Editing in Short Form – Music – "Rio"
2009: Best Sound Editing in Short Form – Music – "Tipping Point"
2008: Outstanding Achievement in Cinematography – "Darkroom"
2009: Outstanding Achievement in Cinematography – "Inside Out"
2009: Best TV Episode Teleplay – "You May Now Kill The Bride"
2005: Outstanding Sound Editing – "Lost Son"
2007: Outstanding Sound Editing – "No Man's Land"
2012: Outstanding Sound Editing – "Blown Away"
2004: Best Sound Editing in Short Form – Effects & Foley – "Grand Prix"
2005: Best Sound Editing in Short Form – Effects & Foley – "Lost Son"
2006: Best Sound Editing in Short Form – Dialog & ADR – "Three-Way"
2006: Best Sound Editing in Short Form – Effects & Foley – "Urban Hellraisers"
2007: Best Sound Editing in Short Form – Effects & Foley – "Come As You Are"
2010: Best Sound Editing in Short Form – Dialog & ADR – "Point of Impact"
2011: Best Sound Editing in Short Form – Music – "L.A."
2012: Best Sound Editing in Short Form – Music – "Crowned"
2010: Best Depiction of Mental Health in a Drama Series – "Head Case"
2010: Guest Star – 13 and Under – Scotty Noyd, Jr.
Sunil Nayar, an executive producer of CSI: Miami has stated that "navigating a show like CSI: Miami is not unlike commanding a ship in a fleet. Its obligation to the bigger CSI franchise is almost like the obligation one feels towards one's siblings". Like CSI: Crime Scene Investigation, CSI: Miami has spawned a series of comic books, novels, and video games based on the show. CSI has also been released as a series of mobile games. In 2007, CBS teamed up with game developer Gameloft to bring CSI to mobile phones. The first of the series to be published was CSI: Miami. The game features actual cast members such as Horatio Caine, Alexx Woods and Calleigh Duquesne who are trying to solve a murder in South Beach with the player's assistance. The game is also available for download on various iPod devices. In December 2003, Entertainment Weekly reported that "there are rumblings that co-creator Anthony Zuiker and company are planning a third franchise, to be set in New York City". In 2004, CBS commissioned the New York-set CSI series, starring Gary Sinise as a detective named Rick Calucci. Calucci, a veteran officer "who lost his wife during the terror attacks on September 11", was expected to "make a guest appearance on CSI: Miami" in May 2004. On March 23, 2004, Melina Kanakaredes was cast as Stella, "a crime scene unit detective". Kanakaredes was cast following her signing a talent deal with CBS in August 2003. The Futon Critic noted that Kanakaredes "was initially set up as the lead of the drama project I.C.E., about the Bureau of Immigration and Customs Enforcement, a wing of the Dept. of Homeland Security. With I.C.E. 's development stalled, Kanakaredes was free to join NY" Vanessa Ferlito and Carmine Giovinazzo were also cast in lead roles. The pilot episode for CSI: NY, titled "MIA/NYC NonStop" aired on May 17, 2004, and also featured Hill Harper. On the aesthetic difference between CSI: Miami and CSI: NY, senior writer Andrew Lipsitz stated that "all cities are fantasies, made up of the dreams of individual inhabitants. New York is its own fantasy—it’s the great fantasy of anyone who came here from another country. It may or may not be more real, it may or may not be baked in the sun, but it’s an amalgam of everyone’s dreams." Anthony Zuiker also stated that, while "Miami feature[s] self-contained episodes that favor solving crimes over exploring characters' lives... NY [will] be more character-driven". USA Today later observed that "structurally, the CSI's bear striking similarities. Each unit, which uses advanced forensic techniques to solve crimes, is headed by a veteran male, joined by a leading female", yet "climate offers variation. NY offers the prospect of frozen corpses." ^ a b Tucker, Ken. "CSI: Miami". EW.com. Retrieved 2016-07-23. ^ Tucker, Ken. "CSI: Miami". EW.com. Retrieved 2016-07-23. ^ a b c d Matthew Alman. "Is David Caruso Too Good to be True?". Miami New Times. ^ a b c d e Keveney, Bill (2004-09-16). "USATODAY.com – Crime pays for 'CSI' franchise". Usatoday30.usatoday.com. Retrieved 2016-07-23. ^ Heffernan, Virginia (2002-10-03). "CSI's Florida sojourn". Slate.com. Retrieved 2016-07-23. ^ Antony. "Kim Delaney rejoins 'NYPD Blue'". CSI Files. ^ Bernard Weinraub. "Another Series Sees What It Needs in Kim Delaney". New York Times. ^ Bill Keveney. "Crime pays for 'CSI' franchise". USA Today. ^ Jessica Holland. "CSI: the mystery of the unstoppable juggernaut". The National. ^ Michael Idato. "Ode to mother ship". The Age. ^ Jane Rackham. "Habeas Corpse". Radio Times. ^ a b c Hibberd, James (2012-05-13). "CBS cancels 'CSI: Miami'". EW.com. Retrieved 2016-07-23. ^ "CSI show most popular in world". BBC News Online. July 31, 2006. Retrieved October 24, 2010. ^ a b "South Beach Riot – The New York Sun". Nysun.com. 2007-02-06. Retrieved 2016-07-23. ^ a b Alman, Matthew (2002-12-19). "Is David Caruso Too Good to be True?". Miami New Times. Retrieved 2016-07-23. ^ Weinstein, Farrah (2002-09-22). "Style & Substance: Emily Procter". New York Post. Retrieved 2016-07-23. ^ a b Dakss, Brian (2006-05-15). "'CSI: Miami,' On Location". CBS News. Retrieved 2016-07-23. ^ "`Csbye': Delaney Leaves`miami' As Role Fades". Articles.orlandosentinel.com. 2002-11-09. Retrieved 2016-07-23. ^ "CSI: Miami". Chicago Tribune. Retrieved 2016-07-23. ^ a b Bryant, Adam (2009-09-20). "Is It the End of the Road for CSI:Miami's Eric and Calleigh? – Today's News: Our Take". TVGuide.com. Retrieved 2016-07-23. ^ "CSI: Miami – Season Eight so far". Tvovermind.com. 2010-01-01. Retrieved 2016-07-23. ^ Bryant, Adam (2012-04-07). "CSI: Miami Finale: Will Horatio Lose One of His Own? – Today's News: Our Take". TVGuide.com. Retrieved 2016-07-23. ^ "Togo To Replace Cochrane". CSI Files. Retrieved 2016-07-23. ^ "Khandi Alexander Quits 'CSI: Miami'". Buddytv.com. 2008-04-21. Archived from the original on 2016-06-15. Retrieved 2016-07-23. ^ a b Mitovich, Matt (2009-06-09). "CSI: Miami Doctor Is Out... and Hitting the Bar? – Today's News: Our Take". TVGuide.com. Retrieved 2016-07-23. ^ "'CSI: Miami': David Caruso still wants to be there after 200 episodes – Zap2It". Zap2it.com. 2010-12-04. Retrieved 2016-07-23. ^ a b "Sofia Milos To Leave 'CSI: Miami'". CSI Files. Retrieved 2016-07-23. ^ "'CSI: Miami' Spoilers for Episode 6.7 "Chain Reaction"". Buddytv.com. 2007-10-22. Archived from the original on 2016-10-13. Retrieved 2016-07-23. ^ Bryant, Adam (2010-05-16). "Delko's Investigation Kicks Into Overdrive on CSI: Miami – Today's News: Our Take". TVGuide.com. Retrieved 2016-07-23. ^ "Who's who in American Crime Story: From Cuba Gooding Jnr to John Travolta, meet the cast and characters of The People vs OJ Simpson". Radiotimes.com. 2016-02-22. Retrieved 2016-07-23. ^ Rackham, Jane. "CSI: Miami – what time is it on TV? Episode 19 Series 10 cast list and preview". Radiotimes.com. Retrieved 2016-07-23. ^ a b "Csi On The Case In Miami, Hoping For A Spinoff". tribunedigital-sunsentinel. ^ Kaplan, Don (September 26, 2002). "Csi: Family Feud; These Stars Of The Original Series Say...; ...These Spinoff Stars Are Just Copy Cat Rats". New York Post. ^ Weinstein, Farrah (September 22, 2002). "Style & Substance: Emily Procter". New York Post. ^ "Sela Ward In 1990". Fine Art America. ^ Weinraub, Bernard (2002-09-22). "TELEVISION/RADIO – Another Series Sees What It Needs in Kim Delaney". NYTimes.com. Retrieved 2016-07-23. ^ Susman, Gary (November 8, 2002). "Kim Delaney is leaving CSI: Miami". Entertainment Weekly. ^ "Sofia Milos Joins 'Miami' Full-Time". CSI Files. Retrieved 2016-07-23. ^ "Jonathan Togo joins 'CSI: Miami' – tribunedigital-chicagotribune". Articles.chicagotribune.com. 2004-08-24. Retrieved 2016-07-23. ^ "Rory Cochrane To Exit 'CSI: Miami'". CSI Files. Retrieved 2016-07-23. ^ "Ann Donahue". CSI Files. Retrieved 2016-07-23. ^ "Breaking News – Megalyn Echikunwoke Joins "Csi: Miami" as a Series Regular". TheFutonCritic.com. Retrieved 2016-07-23. ^ "Adam Rodriguez to Leave CSI: Miami". Latina.com. 2009-08-06. Retrieved 2016-07-23. ^ Collis, Clark (2009-06-25). "Eddie Cibrian joins 'CSI: Miami'". EW.com. Retrieved 2016-07-23. ^ Ausiello, Michael (2010-06-14). "Scoop: 'CSI: Miami' cuts Eddie Cibrian". EW.com. Retrieved 2016-07-23. ^ "Omar Miller joins 'CSI: Miami' team – today > entertainment – today > entertainment > tv". TODAY.com. Retrieved 2016-07-23. ^ "Get map and directions". Yahoo Maps. Retrieved October 24, 2010. ^ "'CSI: Miami's' In Belmont Shore Today". Belmont Shore-Naples, California Patch. ^ I Like to Watch TV. "I Like to Watch TV: CSI Miami: The Fictional Crime Lab's Real Location". iliketowatchtv.blogspot.co.uk. ^ "Company Town". Los Angeles Times. February 15, 2011. ^ *Please enter your name. "Weekend Songs: The Who, 'Won't Get Fooled Again'". Ultimateclassicrock.com. Retrieved 2016-07-23. ^ "Did Twitter just work out The Who's tracks are used for the CSI theme tunes?". Irish Examiner. 2015-06-29. Retrieved 2016-07-23. ^ "CBS May Finally Cancel CSI, Movie Probably in the Works". Hiddenremote.com. Retrieved 2016-07-23. ^ Murphy, Shaunna (2011-10-19). "'CSI: Miami' and David Caruso get Legoland spoof – VIDEO". EW.com. Retrieved 2016-07-23. ^ Andreeva, Nellie (February 1, 2012). "CBS' Robert De Niro-Produced Rookie Cops Midseason Drama Gets Sunday 10 PM Slot". Deadline Hollywood. Retrieved February 1, 2012. ^ Seidman, Robert (May 13, 2012). "Official: CSI: Miami Canceled; Report: CSI: NY Renewed by CBS". TV By the Numbers. Retrieved May 13, 2012. ^ "CSI: Miami: Cancelled by CBS, No Season 11". TV Series Finale. May 13, 2012. Retrieved May 14, 2012. ^ Stanhope, Kate (2013-02-25). "CSI: Miami's Emily Procter Talks White Collar: It's a Nice Way to Start Dating Again – Today's News: Our Take". TVGuide.com. Retrieved 2016-07-23. ^ Crean, Ellen (2006-10-02). "The Southern Belle Of 'CSI'". CBS News. Retrieved 2016-07-23. ^ Jeffery, Morgan (2012-07-28). "Eva LaRue on 'CSI: Miami' end: 'We didn't get a chance to say goodbye'". Digitalspy.com. Retrieved 2016-07-23. ^ a b Carina MacKenzie (2012-05-16). "Why was 'CSI: Miami' canceled over 'CSI: NY': CBS's Nina Tassler discusses 'tough choice' – Zap2It". Zap2it.com. Retrieved 2016-07-23. ^ Jeff Vrabel (2014-09-22). "9 Things You Can Learn About Grandparenting From 'CSI: Miami'". Huffingtonpost.com. Retrieved 2016-07-23. ^ Bryant, Adam (2010-10-03). "CSI: Miami Producer: "You're Going to Meet a New Horatio Caine" – Today's News: Our Take". TVGuide.com. Retrieved 2016-07-23. ^ Andreeva, Nellie (2012-01-06). "'CSI: Miami's David Caruso Signs With WME". Deadline. Retrieved 2016-07-23. ^ "Losing Face". CSI: Miami. Season 1. Episode 2. 30 September 2002. CBS. ^ "Hawaii Five-0 Review: A Matter of Trust". TV Fanatic. Retrieved 2016-07-23. ^ a b Keveney, Bill (2009-03-02). "'CSI: Miami' characters succumb to attraction - USATODAY.com". Usatoday30.usatoday.com. Retrieved 2016-07-23. ^ Wheat, Alynda (2009-09-21). "Alynda Wheat's Beat Cop: In which Wentworth Miller, Cromartie, and Benjamin Button crash our sets". EW.com. Retrieved 2016-07-23. ^ "EMILY PROCTER Calleigh Duquesne, CSI – Miami – 15 Smartest, Sexiest Crime-fighters of '09 – the Women". EW.com. 2009-09-15. Retrieved 2016-07-23. ^ "Emily Procter compares 'CSI: Miami' romance to 'Downton Abbey' – Zap2It". Zap2it.com. 2012-03-25. Retrieved 2016-07-23. ^ Webb, Matt (2012-03-25). "CSI: Miami Preview: Calleigh's Life-Changing Decision Prompts Delko to Make a Proposal". TVLine. Retrieved 2016-07-23. ^ Rorke, Robert (2015-05-17). "Mama Pope from 'Scandal' brings ruthlessness to 'Bessie' | New York Post". Nypost.com. Retrieved 2016-07-23. ^ Thomas, Rochell D (2004-10-13). "CSI Star's Death Wish – Today's News: Our Take". TVGuide.com. Retrieved 2016-07-23. ^ Silverman, Stephen M. (2016-07-19). "Kim Delaney Pulling Out of 'CSI: Miami' – Kim Delaney". People.com. Retrieved 2016-07-23. ^ a b Lesley Goldberg (2012-03-23). "'CSI: Miami's' Eva LaRue Joins ABC's Mandy Moore Pilot (Exclusive)". The Hollywood Reporter. Retrieved 2016-07-23. ^ "Breaking News – Actor Omar Miller Joins the Cast of "Csi: Miami"". TheFutonCritic.com. Retrieved 2016-07-23. ^ "NBC Announces New 'Heroes' Cast Members". Access Hollywood. 2007-06-20. Retrieved 2016-07-30. ^ Husted, Bill. "Down-to-earthiness is in the DNA for "CSI: Miami" actor Boti Bliss – The Denver Post". Denverpost.com. Retrieved 2016-07-30. ^ Eisenberg, Eric (2010-10-05). "Idris Elba And Johnny Whitworth In Talks For Ghost Rider 2". Cinemablend. Retrieved 2016-07-30. ^ Eng, Joyce (2009-08-28). "Christian Clemenson Joins CSI: Miami – Today's News: Our Take". TVGuide.com. Retrieved 2016-07-30. ^ a b "CSI: Miami – Season Eight so far". Tvovermind.com. 2010-01-01. Retrieved 2016-07-30. ^ Masters, Megan (2012-04-19). "Taylor Cole Joins The Glades Season 3". TVLine. Retrieved 2016-07-30. ^ a b Bobbin, Jay (2012-05-02). "'CSI: Miami' and 'The Event' endings still 'up in the air' for 'The Glades' Taylor Cole – Zap2It". Zap2it.com. Retrieved 2016-07-30. ^ Shane Saunders (2012-02-17). "Interview: Jonathan Togo – CSI Files". Csifiles.com. Retrieved 2016-07-30. ^ "Nielsen's TOP 156 Shows for 2002–03 Options". rec.arts.tv. Retrieved October 24, 2010. ^ "Season to date program rankings – part 1" (Press release). ABC Television Network. June 2, 2004. Archived from the original on 2007-02-08. Retrieved October 24, 2010. ^ "ABC Television Network 2004–2005 Primetime Ranking Report" Archived 2012-04-21 at the Wayback Machine. (June 1, 2005). ABC Medianet. Retrieved November 6, 2007. ^ "ABC Television Network 2006–2007 Primetime Ranking Report" Archived 2014-07-03 at the Wayback Machine. (May 30, 2007). ABC Medianet. Retrieved May 31, 2011. ^ "ABC Television Network 2008–2009 Primetime Ranking Report" Archived 2014-07-02 at the Wayback Machine. (June 2, 2009). ABC Medianet. Retrieved May 31, 2011. ^ "Final 2009–10 Broadcast Primetime Show Average Viewership". TV by the Numbers. 2010-06-16. Archived from the original on 2010-06-19. Retrieved 2010-07-29. ^ a b c d e f g Scott D. Pierce. "Miami + NY = gory fun on CSI". Deseret News. ^ Tucker, Ken (2009-11-13). "'CSI' crossover ends: Which of the three episodes was the best?". EW.com. Retrieved 2016-07-23. ^ a b Tucker, Ken (2009-11-10). "'CSI' crossover last night: Did Laurence Fishburne learn to talk like David Caruso?". EW.com. Retrieved 2016-07-23. ^ "It's Official: 'CSI: Miami' Canceled; 'CSI: NY' Renewed by CBS - Ratings - TVbytheNumbers.Zap2it.com". TVbytheNumbers. ^ "The Futon Critic: Spike TV Highlights – April 2007". Thefutoncritic.com. Retrieved 2008-12-24. ^ a b "CSI: Miami – Season 1 Reviews". Metacritic. Retrieved 2016-07-23. ^ a b Tim Goodman (2002-09-23). "'CSI: Miami' shows its winning bloodline / Strong cast headed by Caruso makes up for plot that's wrapped up a bit too neatly". SFGate. Retrieved 2016-07-23. ^ Dakss, Brian (2006-01-23). "Emily Procter's Unlikely Side". CBS News. Retrieved 2016-07-23. ^ Bernhard, Brendan. "South Beach Riot". The New York Sun. TWO SL LLC. Retrieved 20 April 2018. ^ a b Johnson, Steve (2002-09-23). "How to tell the difference between `CSI: Miami' and `Miami Vice'". Chicago Tribune. Chicago Tribune. Retrieved 20 April 2018. ^ Tim Goodman (2002-11-13). "'CSI: Miami' could be on to something". SFGate. Retrieved 2016-07-23. ^ "CSI show 'most popular in world'". BBC News. BBC. 2006-07-31. Retrieved 20 April 2018. ^ "Adam Rodriguez To Join The Cast Of Criminal Minds As Series Regular". CBS.com. 2016-06-08. Retrieved 2016-07-26. ^ "List of Winners". Ascap.com. 2014-06-25. Retrieved 2016-07-26. ^ "ASCAP Honors Top Film and Television Music Composers at 21st Annual Awards Celebration". Ascap.com. Retrieved 2016-07-26. ^ "ASCAP Honors Top Film and Television Music Composers at 25th Anniversary Awards Celebration". Ascap.com. Retrieved 2016-07-26. ^ "Past ASC Awards". The ASC. Archived from the original on 2016-06-24. Retrieved 2016-07-26. ^ a b c "Telecinco estrena la quinta temporada de 'CSI Miami' y la tercera de 'CSI Nueva York'". FormulaTV. Retrieved 2016-07-26. ^ "BMI London awards film, TV music prizes". The Hollywood Reporter. 2007-10-17. Retrieved 2016-07-26. ^ "BMI Film & Television Awards Tout Composers of Year's Top Film, Television, & Cable Music | News". BMI.com. 2009-05-21. Retrieved 2016-07-26. ^ a b c d e "CSI: Miami | Television Academy". Emmys.com. 2016-07-14. Retrieved 2016-07-26. ^ "2007 California On Location Awards Honorees". Californiaonlocationawards.com. Retrieved 2016-07-26. ^ "Khandi Alexander Wins NAACP Image Award". CSI Files. Retrieved 2016-07-26. ^ "2011 Imagen Awards Winners & Nominees – Imagen Foundation". Imagen.org. 2016-07-18. Retrieved 2016-07-26. ^ "2012 Imagen Awards Winners & Nominees – Imagen Foundation". Imagen.org. 2016-07-18. Retrieved 2016-07-26. ^ "Editors Guild Magazine – News". Editorsguild.com. Archived from the original on 2016-10-08. Retrieved 2016-07-26. ^ "Editors Guild Magazine Article : Motion Picture Sound Editors Golden Reel Awards". Editorsguild.com. 2007-02-11. Retrieved 2016-07-26. ^ "Editors Guild Magazine Article : MOTION PICTURE SOUND EDITORS". Editorsguild.com. 2009-02-21. Retrieved 2016-07-26. ^ "Teen Choice Awards Winners 2012: 'Twilight,' 'The Vampire Diaries,' Justin Bieber Win Big". Huffingtonpost.com. Retrieved 2016-07-26. ^ "Latinos In The Industry eNewsletter". Nalip.org. Retrieved 2016-07-26. ^ a b "2009 ALMA nominations" (PDF). ALMA. Retrieved 2016-07-26. ^ a b "UPDATE – NCLR ALMA AWARDS Nominations". Hispanic Lifestyle. Retrieved 2016-07-26. ^ a b "Past ASC Awards". The ASC. Archived from the original on 2016-06-24. Retrieved 2016-07-29. ^ "ITV3's Crime Thriller Awards | The Mystery Bookshelf". Henryct.wordpress.com. 2008-10-07. Retrieved 2016-07-29. ^ "Edgar Allan Poe Award Best Episode Of A Tv Series | Cozy Mystery List". Cozy-mystery.com. 2016-07-23. Retrieved 2016-07-29. ^ "Die GOLDENE KAMERA von HÖRZU geht 2009 an die beste US-Serie Axel Springer SE". Axelspringer.de. 2015-11-05. Retrieved 2016-07-29. ^ "The Golden Reel Sound Editors Guild Nominations « Movie City News". Moviecitynews.com. Retrieved 2016-07-30. ^ "A twist in Image Award nominations – latimes". Articles.latimes.com. 2004-01-08. Retrieved 2016-07-29. ^ a b "'CSI' Franchise Comes Up Empty Handed". CSI Files. 2007-03-02. Retrieved 2016-07-29. ^ a b Variety Staff (2006-02-23). "37th Annual Image Awards nominations". Variety. Retrieved 2016-07-29. ^ "News Bullets". CSI Files. 2016-07-25. Retrieved 2016-07-30. ^ Variety Staff (2006-08-17). "Imagen Award nominees". Variety. Retrieved 2016-07-30. ^ "Latino Actors Honored at 22nd Annual Imagen Awards Featuring America Ferrera, Wilmer Valderrama, Jimmy Smits, Carlos Mencia, Kelly Monaco, Hector Elizondo, Tony Plana, Judy Reyes and More". Business Wire. 2007-07-29. Retrieved 2016-07-30. ^ "Motion Picture Sound Editors, USA (2004)". ^ a b "Motion Picture Sound Editors, USA (2006)". ^ "Motion Picture Sound Editors, USA (2007)". ^ a b 1/22/2010 12:15 PM Eastern (2010-01-22). "Motion Picture Sound Editors Announce 2010 Golden Reel Awards Nominees". Mixonline. Retrieved 2016-07-30. ^ Rachel Trongo (2011-01-31). "'CSI' & 'Miami' Receive Golden Reel Nominations – CSI Files". Csifiles.com. Retrieved 2016-07-30. ^ "MPSE Unveils Golden Reel Noms". ProsoundNetwork.com. Retrieved 2016-07-30. ^ Deadline, The (2013-01-17). "Sound Editors Announce Nominations For Golden Reel Awards". Deadline. Retrieved 2016-07-29. ^ "'Crazy Heart' among Prism Awards noms". The Hollywood Reporter. 2010-02-18. Retrieved 2016-07-29. ^ a b "24th Annual Young Artist Awards Nominations". Youngartistawards.org. 2003-03-29. Archived from the original on 2016-01-10. Retrieved 2016-07-25. ^ "25th Annual Young Artist Awards – Winners and Nominations". Youngartistawards.org. Archived from the original on 2015-04-29. Retrieved 2016-07-25. ^ "26th Annual Young Artist Awards – Nominations / Special Awards". Youngartistawards.org. Archived from the original on 2015-07-16. Retrieved 2016-07-25. ^ "29th Annual Young Artist Awards – Nominations / Special Awards". Youngartistawards.org. Archived from the original on 2013-12-04. Retrieved 2016-07-25. ^ "31st Annual Young Artist Awards – Nominations / Special Awards". Youngartistawards.org. 2010-04-11. Archived from the original on 2015-07-20. Retrieved 2016-07-25. ^ "32nd Annual Young Artist Awards – Nominations / Special Awards". Youngartistawards.org. 2011-03-13. Archived from the original on 2015-08-03. Retrieved 2016-07-25. ^ a b c "33rd Annual Young Artist Awards – Nominations / Special Awards". Youngartistawards.org. 2012-05-06. Archived from the original on 2012-05-11. Retrieved 2016-07-25. ^ "Ode to mother ship – TV & Radio – Entertainment". Theage.com.au. 2009-07-29. Retrieved 2016-07-23. ^ Cook, Brad. "CSI: Miami – In Judgment of All Wrong". Apple Inc. Retrieved 2008-12-07. ^ Andreeva, Nellie (2014-02-18). "'CSI' Spinoff About Cyber Crime Gets CBS Pilot Order For Spring Debut". Deadline. Retrieved 2016-07-23. ^ a b c Gans, Andrew (2004-03-18). "Steppenwolf's Gary Sinise to Head Cast of 'CSI: New York'". Playbill. Retrieved 2016-07-23. ^ "The Bloodsplattered Triplets of CSI". The New York Times. Retrieved 2016-07-23. ^ a b Michael Schneider (2004-03-23). "Drescher 'Up' for pilot". Variety. Retrieved 2016-07-23. ^ "Breaking News – Development Update: March 24". TheFutonCritic.com. Retrieved 2016-07-23. ^ "MIA/NYC – NonStop". CSI Files. Retrieved 2016-07-23. ^ "A Forensic Pathologist Examines CSI:NY". Nymag.com. 2004-09-27. Retrieved 2016-07-23.